TALLAHASSEE, Fla. - U.S. Sen. Marco Rubio implored Florida’s new governor Tuesday to start spreading disaster-relief money approved nearly a year ago to address massive citrus-industry damage from Hurricane Irma in 2017. Rubio said in a letter to Gov. Ron DeSantis that money in a $343 million block grant needs to be disbursed to citrus growers. Rubio said the federal government shutdown has forced the U.S. Department of Agriculture to stop processing applications for what is known as the Wildfire and Hurricane Indemnity Program, or WHIP, and all disaster assistance payments. DeSantis’ office didn’t immediately respond to a request for comment. DeSantis took office Tuesday. 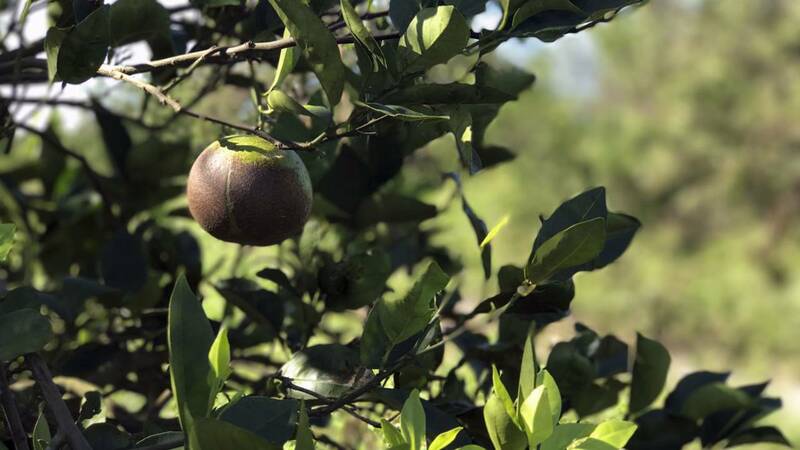 The Florida Citrus Recovery Block Grant was part of a $2.36 billion disaster-relief package approved by Congress and signed by President Donald Trump in February 2018. Rubio said the block-grant money has already been sent to the Florida Division of Emergency Management and is not affected by the federal shutdown. But he pointed to delays in the state agency providing the money to growers. Rubio’s request came a day after Senate Agriculture Chairman Ben Albritton, a Wauchula Republican who owns a citrus grove that was damaged by Irma, criticized the bureaucratic process tied to the funding. About $129 million of the block-grant money is directed toward new trees, grove rehabilitation and irrigation-system repairs and replacements. Another $182 million is directed toward future economic losses for growers who lost at least 40 percent of their crop production from Irma. An estimated $29 million, subject to availability, will go to help growers meet crop-insurance purchase requirements for the 2022 and 2023 seasons. The state’s agriculture industry took an estimated $2.5 billion hit from Irma, with the citrus industry sustaining at least $761 million in losses, according to a report from the Department of Agriculture and Consumer Affairs. State Rep. Jared Moskowitz, a Coral Springs Democrat who has been selected by DeSantis to run the state’s Department of Emergency Management, had not resigned from the House as of Tuesday to shift into the new position.